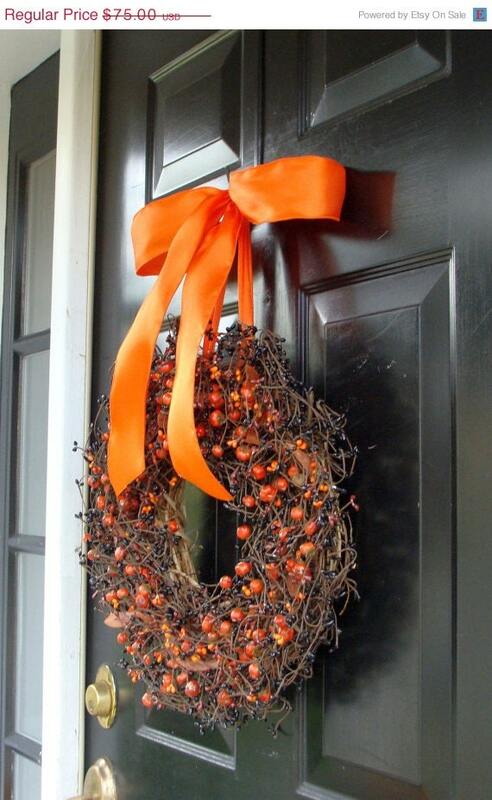 An elegant Halloween or Fall wreath that will go with any décor! 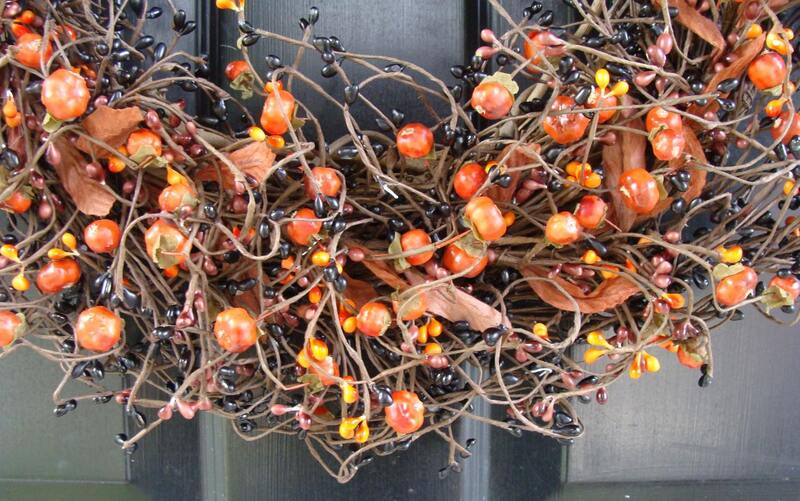 Black pip berries are weaved with unique pumpkin berries and orange pip berries creating a beautiful wreath. 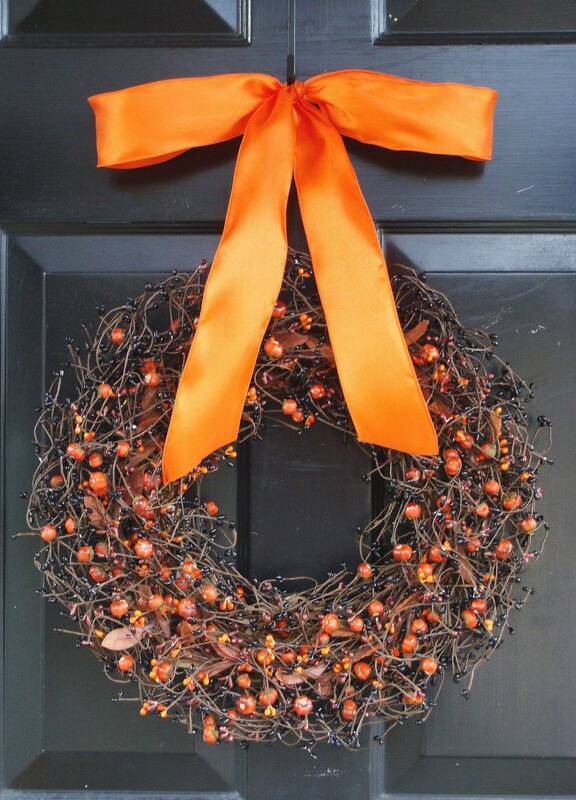 This large 18 inch wreath is created on a 14 inch grapevine base and hung with a 2 1/2 inch orange satin ribbon. 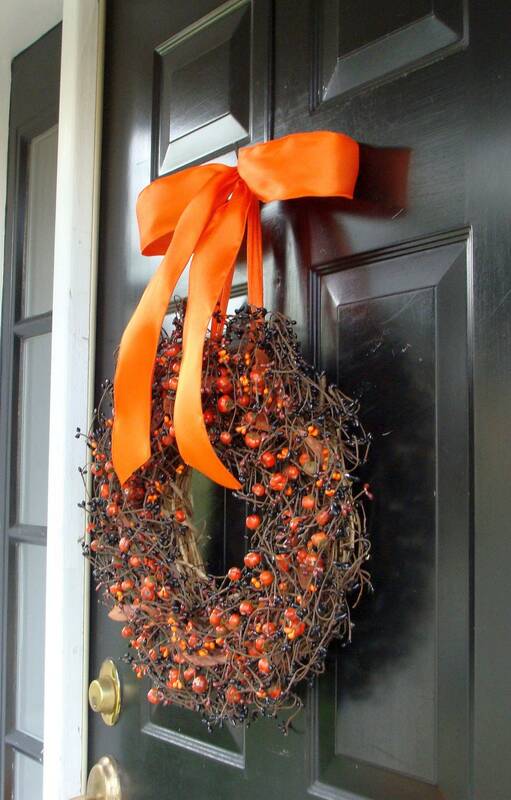 Total height measures 27 inches and 18 inches wide, perfect for front door decoration. **Full overhead coverage is recommended if used outdoors. 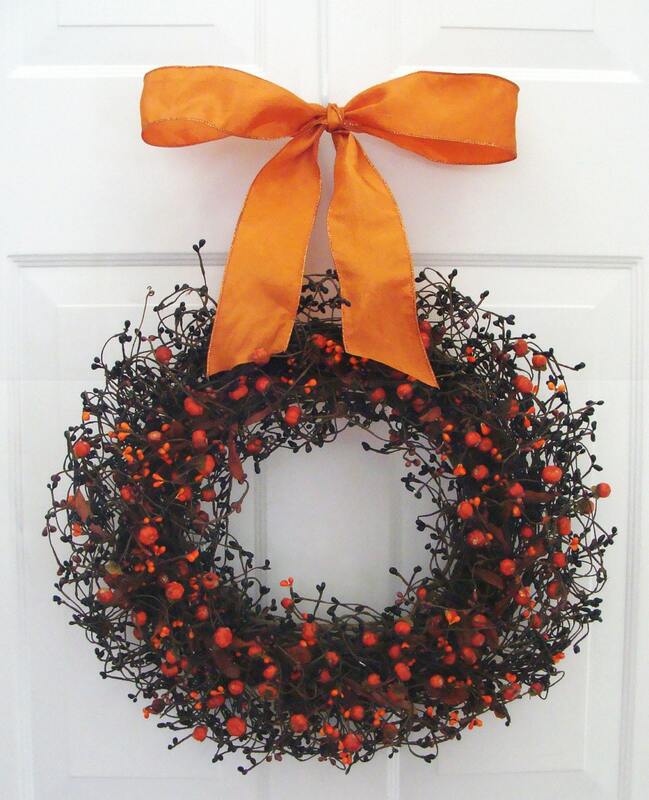 If you would like a different ribbon color or custom Halloween decor added please email me for options. Thanks for visiting my collection! Was so sad to have to take this off the door at the end of the season. Love it! !